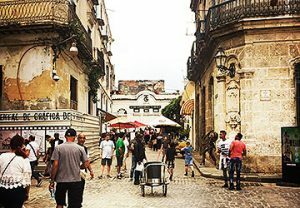 Peters Valley is hosting an arts and crafts tour of Cuba from October 26-November 2, 2019. Partnering with Cuba Educational Travel, a leader in people-to-people/group educational travel to Cuba, they have designed a specially curated itinerary exploring the art and craft scene in Havana and Trinidad, with visits to leading ceramists, print-makers, metalsmiths, basketmakers, photographers, mosaic artists, painters and other artisans, as well as private tours of museums and galleries. In addition there will be historic architectural tours of three cities. Peters Valley is inviting members of SNAG to join them on the October journey. If you sign up using the form below, a portion of the trip fee will go to SNAG.